We always look for ways to save money on Disney vacations and have found ways to save big bucks as a Disney Annual Passholder! Every little bit helps, and these 10 perks are great ways to have fun and keep some money in our pockets. Each year around this time Chris and I talk about whether or not we’re renewing our Disney annual passes for the next year. Usually we land on a big fat YES!, and I’m sure this year will be no different. But we still like to sit down and discuss whether the benefits outweigh the cost. For us, it’s always worth it because of how much money we save and the bonuses we get by being passholders. In fact, we think being a Disney annual passholder works better for our family than becoming a Disney vacation club member (but that’s for another post!). So if you’ve been debating on getting an annual pass, I’ve got 10 reasons why we think it’s definitely worth it! Late last year Chris and I decided to hear the whole Disney Vacation Club pitch. It was definitely interesting, and we do see the benefits of it for some people. But for us at this time it just doesn’t work. So after we left we sat down and thought of all the reasons why we think being a Disney annual passholder works better for our family. And also what we liked (and didn’t like) about the passholder benefits. ** Currently we have the Disney Annual Passholder Platinum Pass, which gets us into everything except access to the waterparks. These are the 10 perks of a Disney Annual Passholder! Possibly one of my favorite perks of Disney annual passholders are the resort discounts. Depending on what tier the hotel is (value, moderate, or deluxe) determines how large the discount is (it usually goes up to 25%). This perk is one of the reasons we’re able to go to Disney so many times a year, because the value resorts with the discounts are usually under $100. **Update: As of right now Disney is updating quite a few of their resorts. This means less rooms at a cheaper price so if you’re looking at a vacation later this year….BOOK NOW. Rooms are going fast and you won’t get a good deal if you want until the last minute to book! If you’ve ever been to Disney you’ve probably heard of the memory maker package. For a somewhat moderate fee you can download all the pictures that Disney Photopass Photographers take of your family plus all the ride photos too. But, if you’re an annual passholder the cost of the memory maker is wrapped into your pass. If you don’t have the memory maker you’ll pay $15 for each photo you want to download, so the memory maker package may be worth it for you if you’re not in the market for an annual pass! ** This perk is only available with the Platinum Plus, Platinum, and Gold Pass! Using your annual pass when you buy Disney merchandise can definitely pay off! You can get a 20% discount on your purchases, but you must have both your annual pass and a photo ID on you at the time of purchase! **Keep in mind that the 20% discount is for the 45th anniversary only! Normally the merchandise discount is 15%. Let’s not sugar coat it, if you are paying for parking at Disney it can add up quick! One way you don’t have to pay for parking is if you’re staying on Disney property during your visit. 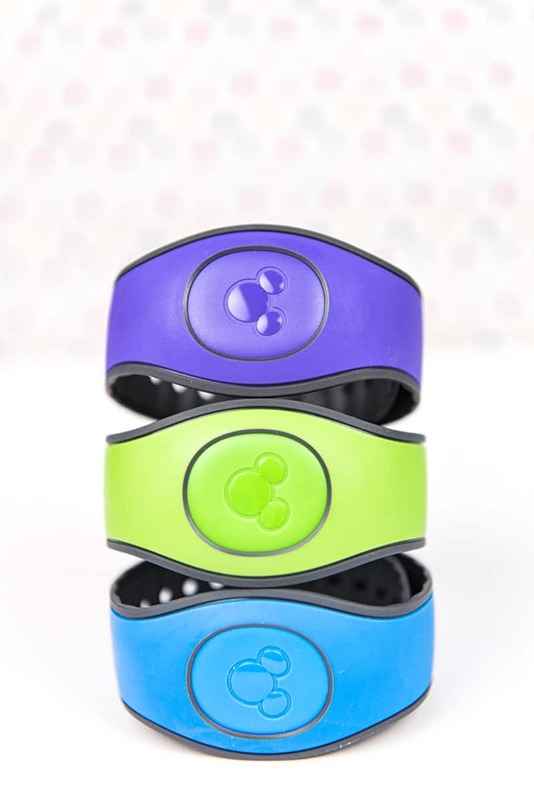 Once you check into your resort your free parking pass will be put on your magic band (they used to give you a paper pass but have done away with it in favor of the magic band). However, if you’re a Disney annual passholder free parking at the parks is included with your pass. So you will never worry about having to pay for parking when visiting Disney. **UPDATE: As of March 21, 2018 you will now have to pay for parking if you’re an overnight guest at Disney resorts (DVC is not included in this). Value Resorts = $13, Moderate Resorts = $19, Deluxe Resorts + $24, and Valet at select resorts is now $33 a night. Parking at the parks is still complementary as an Annual Passholder. Because this year is Disney World’s 45th anniversary they are offering extra discounts for their annual passholders! There are 45 select restaurants (table and quick service) that are offering 20% off food and non-alcoholic beverages through September 30, 2017. There are some exclusions, but you can see the full list of 45 restaurants here! 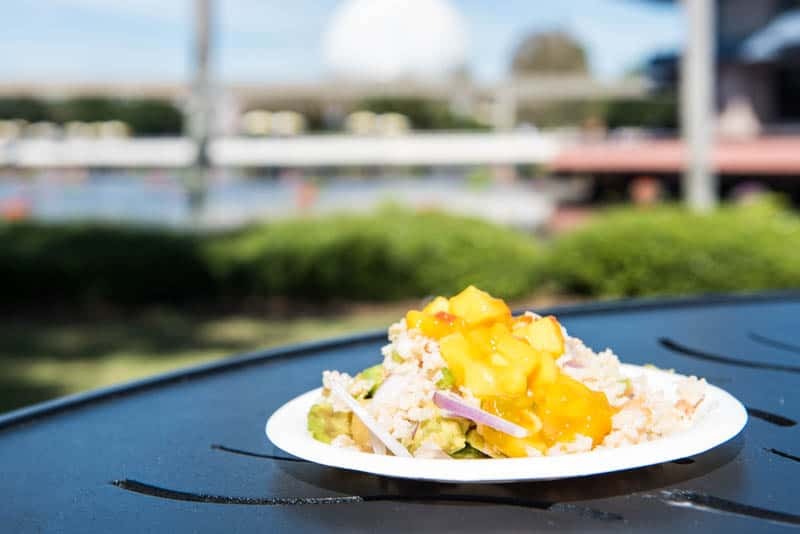 But besides those 45 restaurants, passholders can also get 10% off of food and non-alcoholic beverages at select table service restaurants at the parks and select Disney resorts! On our last Disney trip I actually got to experience the spa for the very first time! I have lots of thoughts on the experience that I’ll share with y’all later on, but just know that it was nice and relaxing and I’m glad I got to do it! Did you know that if you’re a Disney annual passholder you get a 15% discount on all services that cost more than $45? This doesn’t include children’s services, upgrades, or packages though, but how awesome would it be to relax after a long day at the parks with a massage? Yea, I think it sounds fantastic and I can’t wait to experience it! Chris and I always try to go to Mickey’s Not So Scary Halloween Party and Mickey’s Very Merry Christmas Party each year. Halloween and Christmas are my favorite times of the year to visit Disney, and if we schedule to go far enough in advance I’m able to snag tickets for the parties at discounted rates. The discounts are only available on select nights and usually save you a little bit of money, so it’s definitely worth it to book in advance! Tours are something I have never done but one day I may talk Chris into booking one. Most tours do not allow young children (minus the Disney’s Family Magic Tour for all ages) so keep that in mind when you’re trying to decide if a tour is right for your family. The youngest a child can be is 8 years old but most only allow children 10+. If you do decide to book a tour you can get 15% off the non-discounted price. And if you have done a tour already, tell me which one and what you thought about it in the comments! I’d love to hear your experiences! Formally the Disney Dining Experience, TIW is exclusive to annual passholders, DVC members, and Florida residents, plus their families and friends (up to 10 guests). This membership offers 20% off select Disney restaurants and is valid for one year of the date of purchase. You can see the list of participating restaurants here. Sometimes it’s nice to have a date-night out at Disney Springs every once in a while! Chris and I have never done it in Florida (but have had the opportunity in California) and it’s always fun. They have a huge AMC movie theater at Disney World and if you’re an adult and go after 6pm you can get $2.00 off your ticket price! The nice thing is that you can come out of the movie, shop, or go grab a few drinks after. Disney Springs has been built up and there is just so much to do now! If you’re a Disney annual passholder who isn’t staying on Disney property, here are a few things you need to know! Unless you are staying on Disney property you cannot book Fastpasses more than 30 days in advance. A lot of times this is a huge disadvantage because people staying on property can book 60 days prior to their trip and you may miss out on a Fastpass you really want (like Frozen Ever After in Epcot) because of it! This is another perk you will only get if you stay on-Disney property during your trip. 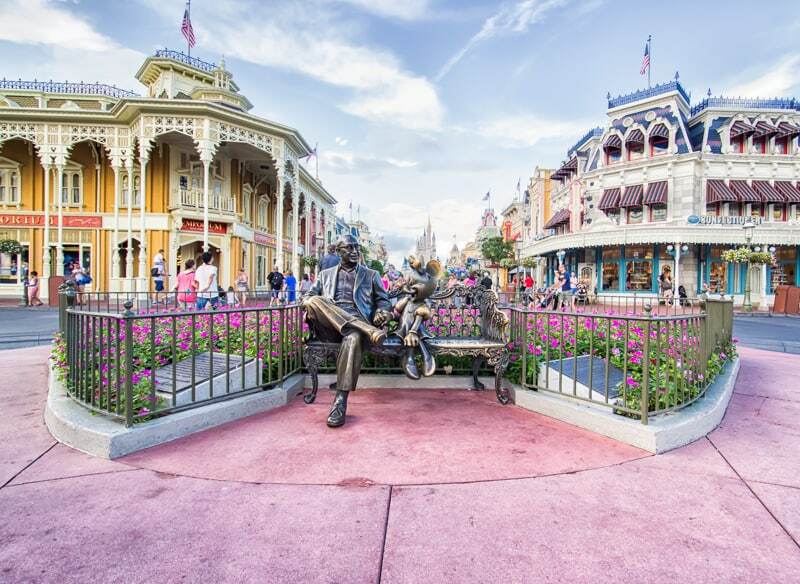 On select days certain Disney parks are open one hour earlier or a few hours later than normal. If you’re staying on-property this gives you access to all the rides for a few extra hours and you’ll be able to deal with shorter lines and smaller crowds. However, if you are an annual passholder who is not staying on property you cannot get on any rides. There are Cast Members at the entrance to every attraction who will scan your magic band to make sure you’re staying on-property. Guests who are annual passholders and not staying on-property have the option to leave once the regular park hours are closed or shop around for a bit. But unfortunately, you cannot get on any attractions during EMH. If you’re looking for more Disney trip tricks, you need to read these posts! Honestly, we love being a Disney Annual Passholder and think the benefits work well for our family and our trips! One of the reasons we’re able to go as much as we do is because of the discounts we receive with the pass. It’s so worth it for us! Did the Keys to the Kingdom tour with Lindsay last year and absolutely loved it and felt it was worth every dollar. Instead of ruining the ‘magic’ for us it actually made me appreciate how far Disney goes to create the magic.